Being cooped up inside through the winter really makes you enjoy your outdoor space in the summer. Some people may just have a grill on the patio and others may have an extensive outdoor living area. 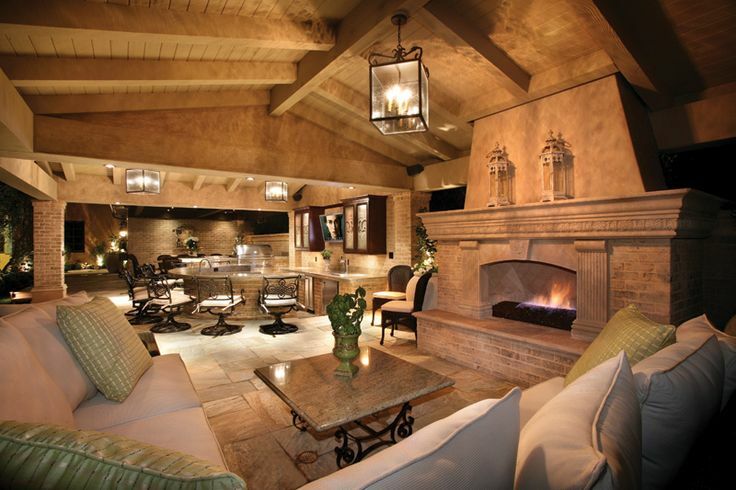 A big trend with outdoor spaces is to incorporate the interior living area with the outdoor space. Couches, tables, chairs, fans, televisions...its all made for the outdoor world. 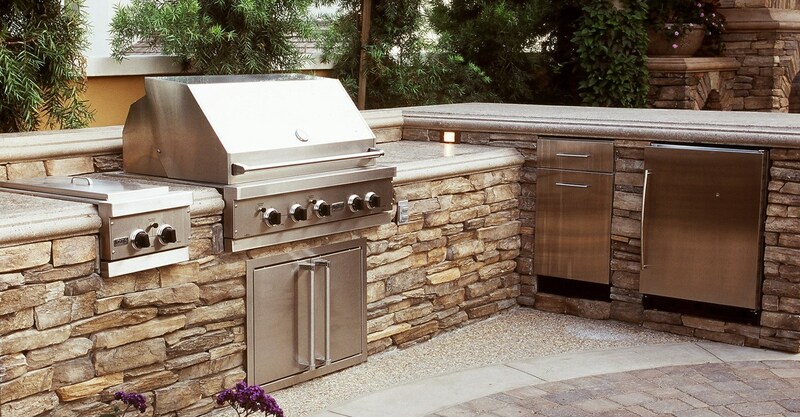 But the most popular outdoor space is the outdoor kitchen. When planning your or researching your outdoor kitchen remember these ideas. Proximity - The heart of the home is the kitchen, and this still applies to an outdoor area! Especially with an outdoor kitchen, you'll need prime access to the interior kitchen, having the outdoor kitchen as an extension of the home is the perfect way to achieve this. Shelter Structures - Whether it be a pergola or a pavilion, shelter structures will allow you to enjoy your outdoor space in nearly any type of weather. Don't forget your lighting! Lighting becomes more important when you are underneath a structure. Material - Many homeowners are choosing to build their outdoor kitchens out of masonry. Stonework really creates an aesthetic that can't be found in prefab work. When choosing a stone to use, consider the 'stain resistance' and durability of the stone. Where you want to use bluestone, may not be the best location. Electronics - Another trend is incorporating electronics. Docking systems for iPad's, iPod's, smartphones, built in speakers and stereo systems, flat screen televisions, projectors...the list is endless! 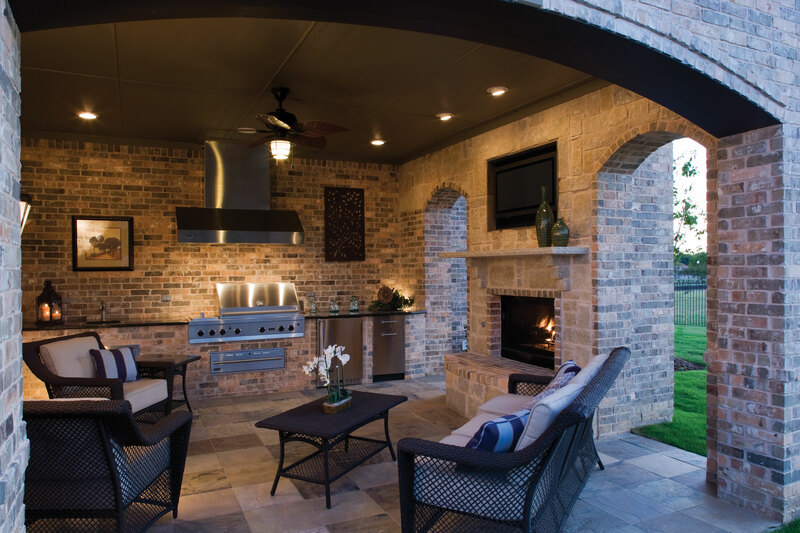 Once your outdoor kitchen is complete, you may not want to cook indoors again! Be sure to follow us on Pinterest and Facebook for new ideas and inspiration. You can also check out our Houzz page, featuring recent projects and client reviews. Contact us today to get started on your next outdoor living project!